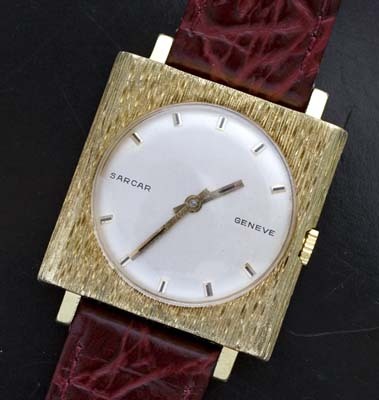 A very stylish square cased vintage watch with a bark finished gold toned case. 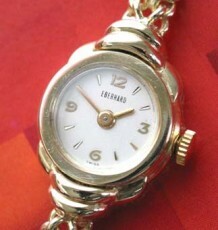 The watch uses a high grade Peseux manual wind movement. 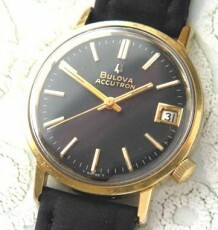 This vintage dress watch is quite an attractive watch if unusual wrist watch. 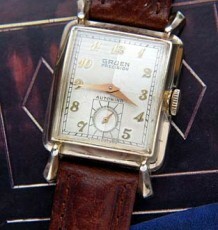 The watch was produced by the Sarcar watch company and uses a very high grade Peseux P320 manual wind 17 jewel movement. 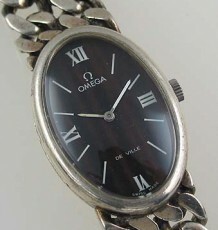 The Oyster coloured dial is in mint condition with gold stick markers and hands, that appears to have onyx inlays in them very similar to the vintage Omega watches of the 1960’s. 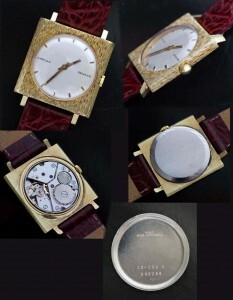 The case has a very appealing bark finish to it which sets it apart from most of the other watches I come across. The case measures a larger than usual 30 mm wide and 38 mm long and is supplied on a crocodile patterned leather strap.